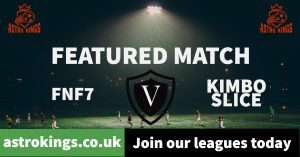 Tonight the spotlight is on this clash between league leaders FNF7, and chasers Kimbo Slice. 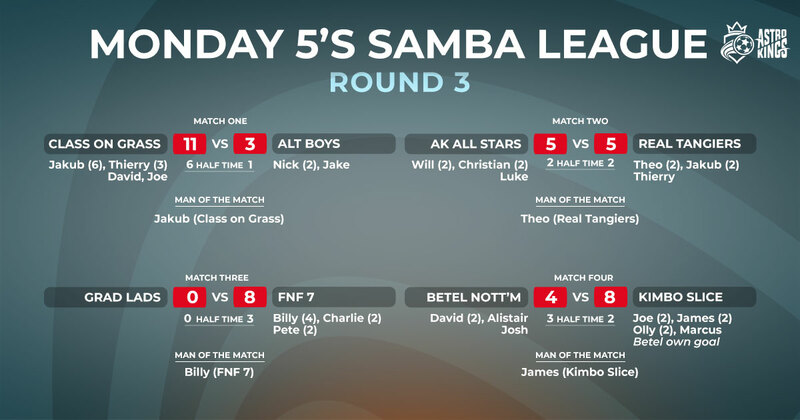 After one win in their last three games, FNF will look to goal talisman Billy, to inspire a victory and keep their title campaign on track. Kimbo Slice on the other hand were on a two game winning streak until they lost to Real Tangiers in a close 7:8 thriller last week. 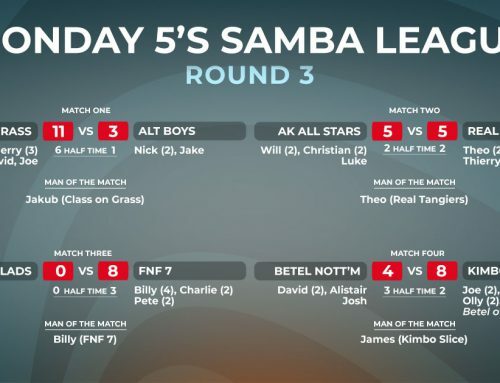 With two games in hand, and top goalscorer James Mortimer in form, Kimbo know that a victory tonight could throw a spanner in FNF’s title chase. Find out what happened in tomorrow’s match report.